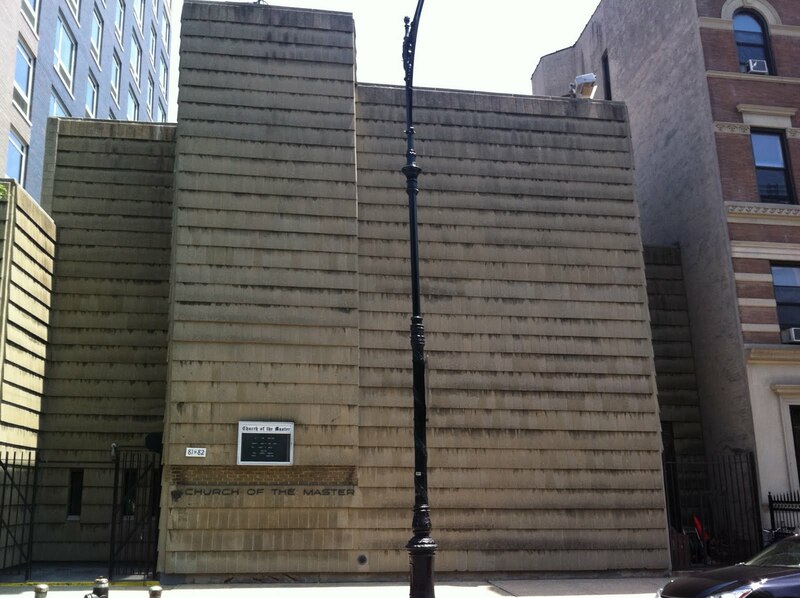 In a particularly interesting case of Harlem Brutalism, we see the Church of the Master on Morningside Avenue, which is the Harlem side of the park. 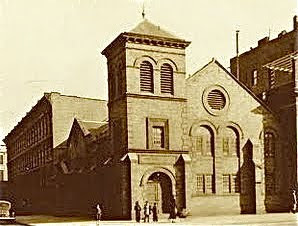 The original 1893 church was demolished in 2008 after it was sold to a developer. In a sad but not unique story, the church become under-used and so neglected over the years that it was in danger of collapse. At that point it was outrageously expensive to renovate it. But a group did try and fail. The congregation moved to the community house next door, which had been built in 1972 and designed by Victor Christ-Janer & Roger Glasgow. They created a boxy little Brutalist building totally oblivious to its context in everything but size. These days an architect will try to respect the surrounding architectural and cultural climate when designing a building. But in 1972, the mood was not particularly backward looking. Brutalism is a hostile architecture even if I do think its kind of groovy. So what statement was made both by the designers and by the church officials with this choice of design? I suspect, given what we know about NYC and Harlem particularly in the 1960s and 70s, those in charge wanted a somewhat repellent structure. That period was arguably the toughest one in Harlem's history. They built the community house of poured concrete and each horizontal section has a scratchy line where they've left the concrete sticking out. There are no windows. You can see how the sections were poured, because nothing has been sanded down or prettified. That said, this exterior is very carefully designed and rather elegant. The other thing that happens with this type of arrangement, as one can see, is this sort of dark drippy shadow effect at each section. This building was a fortress to protect the congregation and it was not meant to be welcoming. See the high rise in the background? I think these condos are actually selling briskly. The kids like to hear stories about fortresses and drama, failure, ultimate triumph. This site has it all! Again, this building is so much more than just "ugly." Its tell the story of a particular moment in Harlem's history.